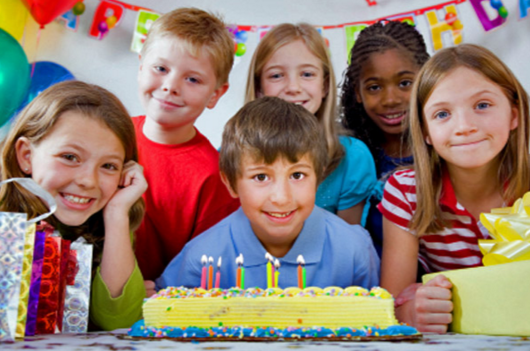 Ontario Bakery: Bad Weather Birthday Party Ideas for Kids That Just Want To Have Fun! Bad Weather Birthday Party Ideas for Kids That Just Want To Have Fun! Birthday parties are always fun, but when cold or rainy weather is in season, it can be hard to be creative. That doesn’t mean you’re limited, it just means thinking outside the box! We at Ontario Bakery know what kid's love, from our custom cake pops to birthday party fun! So if you need some fun all-weather birthday party ideas, we have just the ones for you! There’s no reason to resent the chill in the air; just make it work in your favor. Depending on where you live, find a local indoor or outdoor ice rink to have for fun. You could have skating lessons for all the kids, or for the more balanced partiers, boost the challenge by playing tag or another party game. If you want to keep costs down, it’s actually more budget friendly to purchase tickets and lessons on your own, instead of paying for a party package. You’re getting the bonus of the party room, so save the celebrating with the cake and gifts for home if you’re wanting to cut the costs. Spread protective bags/paper/plastic all over the living room and dining room table. This one’s going to be fun! Get all the tools needed for paper mache and start creating. You can go with a movie theme (and watch the movie while everything dries) or go with a costume theme and have a party part two later in the month! Options are endless here! A party where the kids create their own treats is so much fun, whether the treats are savory or sweet. Pizza is actually one of the most fun, because younger kids love to handle the dough and everyone gets to choose their own toppings! Just be sure to have enough of everything, including the pans, to go around!